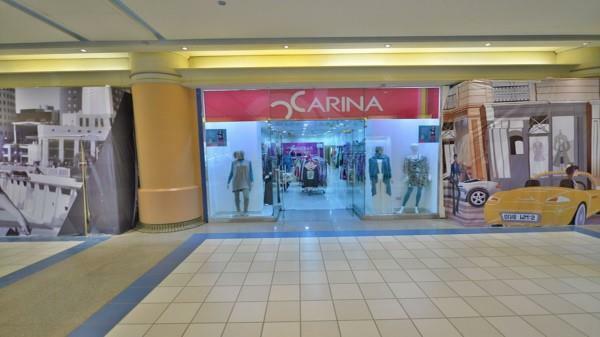 (MENAFN - Daily News Egypt) In 1996, an Egyptian brand named 'Carina' was founded, providing innovative and creative bodywear solutions for many women. Since then, Carina has grown tremendously, and has currently become one of the most competitive clothes brands globally. Also, it became one of Egypt's leading fashion retailer. Would you please tell us about Carina Egypt's expected revenues by end of 2019, as well as sales, and operations markets by end of 2019, in addition to the last results? Carina considers 2018 the 'year of development' as on a brand-level, Carina has planned and executed an upgrade in quality, a variation of product lines, introduced new designs, and many other developments. All these developments aim to take the brand to a whole new level and overtake the opportunities created after the pound floatation. Accordingly, we expect at least a 30% growth by the end of 2019, and expanding to at least 20 countries. CEO and chairperson of Carina Halla Al Kasm You sais you overtook opportunities after pound floatation, could you please tell me your opinion about the effect of pound floatation on the clothing industry, and how did it affect Carina bodywear? Also, in your opinion, what are the challenges or obstacles that the clothing industry faces nowadays in Egypt? The challenges we all face nowadays in the clothing industry are actual opportunities for us. I don't call them obstacles, I believe they are challenges. I always believe that there is an opportunity in every challenge. When people think about Carina, they always ask where Carina bodywear's idea came from? Could you please tell us more about the story of establishing Carina? Carina came to life when a girl who had a dream decided to become a businesswoman. Ever since I was a little girl I dreamed of having my own boutique; I was passionate enough to turn it into a business. It really came to life when I had the idea of making a bodywear that would fill the untapped needs of women and it really made a breakthrough. The brand's real start began when we started fulfilling the market gaps that women had. Every woman wants to feel stylish and wear the latest trends feeling comfortable and confident. What are the main products that contribute to the firm's annual sales? Our bodywear category dominates our sales as it became an essential item in every Egyptian woman's wardrobe. It helps women be more confident as it completes their outfits. We recently introduced a cotton wear line that is both comfy and stylish. The pyjama line was a huge success among our customers and we're currently working on introducing more lines. To what countries does Carina export its products? The company's exports account for how much of the firm's total sales? Carina currently exports to over 10 countries, and we are working on various product lines especially when it comes to the cotton product category. Exporting occupies around 20% of the firm's total sales and that's just the start. Have a dream, be persistent, be confident, and don't let anyone stop you from achieving your dream.